I've been a stalwart supporter of the Nintendo DS since the day I bought my first DS Lite: the touchscreen helped speed adoption of them in every handheld device ever, the system appeals to kids and adults and gamers and non-gamers alike, and the software library overcame a shaky first year to become one of the strongest of any game system in memory. We're coming up on the system's sixth anniversary in a couple of months - by this point in their lifespan, most systems are far past their prime. Even though the DS has a successor waiting in the wings, the games haven't gone downhill yet. Read on to see what you're going to be playing up until you unbox that shiny new 3DS. Okay, so this is out already. Fine. It's included on this list anyway, because when I bought it I could see the high-quality holiday game rush coming straight at my face with more quality product than I could ever play in 2011, to say nothing of the last dregs of 2010. Unwound Future is the good Professor's third game to reach North America, and by now he's pretty well a known quantity - top-hatted gentleman and Boy Wonder apprentice wander around Britain solving puzzles and uncovering mysteries, all presented lovingly with top-notch art direction, music, and overall style. 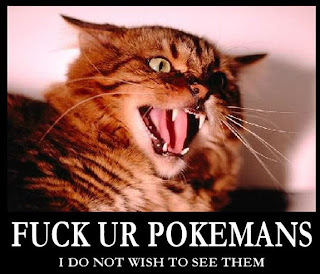 If you've played the first two, you'll like this one. 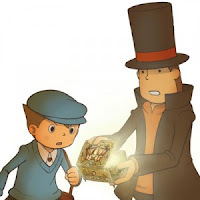 If not, none of the Layton games require that you start at the beginning - why not start here and work backwards? Both are perfectly gentlemanly things to do. RPG junkies will probably have played one or both of the Matrix Software-developed and Square Enix-published Final Fantasy remakes that have made it to the DS. Final Fantasy III, originally an NES game, had never seen release in North America, and Final Fantasy IV was a lovingly made remake of a Super Nintendo classic. For this outing, Matrix has lifted most of the old-school Final Fantasy experience they have accrued and used it to build something new. 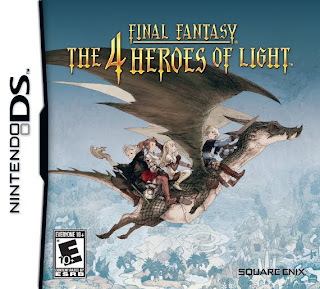 Well, new in the sense that this old-school Final Fantasy merely pays homage to the earlier entries in the series, instead of re-creating them outright. If you like old-style Japanese RPGs with all their random battling and dungeon crawling and melodramatic world-saving storylines intact, this one is probably for you. ...the experience is marred by a few frustrating design decisions. Everything in the game is controlled with the stylus, except the camera which is handled by the d-pad ... if a situation calls for precise movement or picking up smaller objects—which is often the case—things get a little sticky ... The imprecision of the stylus is compounded by the camera, which automatically shifts back to Maxwell once it’s been away from him for too long. I can’t count how many times I tried to pick up something only to have the camera move suddenly, resulting in Maxwell moving somewhere I didn’t want him to be. What’s worse is that certain aspects of the physics in the game actually prohibit some more complicated ideas. It’s next to impossible to use objects that are heavy in real life as believable counterweights or anchors in the game or to enact the kinds of makeshift structures akin to games like World of Goo. Perhaps I’ve just been spoiled by more recent physics simulations, but the preclusion of this type of problem solving in Scribblenauts is disappointing. Some lapses in AI and imprecise word recognition also rear their ugly heads from time to time. 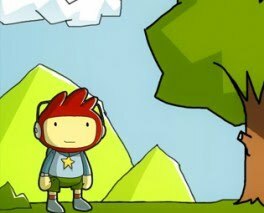 Super Scribblenauts purports to be Scribblenauts with all of these problems fixed. If this is really the case, pre-order Super Scribblenauts right. Now. In retrospect, the Game Boy Advance's software library wasn't super impressive. Most of its notable games were either ports of Super Nintendo games (see: every Mario game on the platform, all of the SNES Final Fantasies) or blatant rips-off of Super Nintendo games (see: Metroid Fusion). 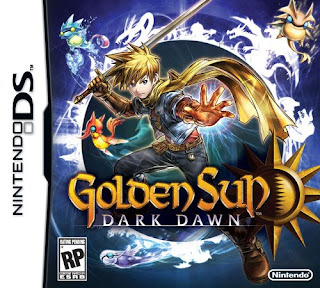 That's not to say some of those games weren't worthwhile - Camelot's two Golden Sun games, released on the GBA in 2001 and 2003, are evocative of old-style Super Nintendo RPGs, but they were also two of the deepest games on the platform. People began talking about a third game in the series almost immediately after the second game's release, but it's only now that it's finally coming out. Newcomers to the series can expect a relatively lengthy RPG evocative of the 1990s; fans of the first two games can probably expect more of the same. 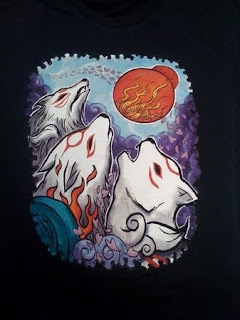 That the PlayStation 2's superlative Okami would ever see a sequel of any sort was on my no-way-in-hell list for a long time. That Duke Nukem Forever would ever see release was on that list too, though, so shows what I know. 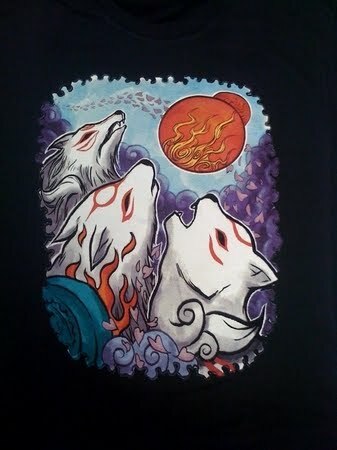 Clover Studio's Okami came out to rave reviews - critics loved its art style, unique Celestial Brush mechanic, and Zelda-flavored gameplay - but lackluster sales, effectively guaranteeing the subsequent liquidation of its developer. Fun fact: the 2010 Guinness Book of World Records Gamer's Edition named it the "least commercially successful winner of a game of the year award." Shits, mang. Somehow, improbably, a sequel is coming. Capcom is hoping that several years of good word-of-mouth are going to help this game sell better than its predecessor. Let's hope that happens, or else the franchise is going to be put out to pasture. It occurs to me that every other game on this list is a sequel to something, spiritual or otherwise. Like them or hate them, you've probably made up your mind about buying them before you even started reading this article. 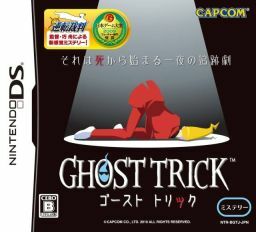 Well, prepare yourself for Ghost Trick: Phantom Detective. Original games seem increasingly rare these days, and this quirky release from the creator of the Ace Attorney/Phoenix Wright games has my interest piqued. Basically: you're a dead guy. When other people get killed, you go back in time four minutes and are tasked with preventing that death. GOOD LUCK. This one's already out in Japan, and the buzz is mostly positive. 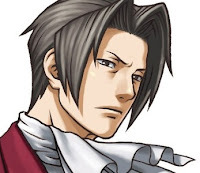 Let's hope this new effort is just as engaging and successful as the Ace Attorney games have been. Speaking of both sequels and Phoenix Wright, this game was recently teased at the Tokyo Game Show. As with the other sequels on the list, past is prologue; look at the five other games in the Ace Attorney series and extrapolate from there. You're a lawyer in frilly clothes. Inspect crime scenes, interrogate suspects, present evidence, expose lies, win the day. No word on when this one's coming out, but I wouldn't be surprised to see it out before the end of 2011. 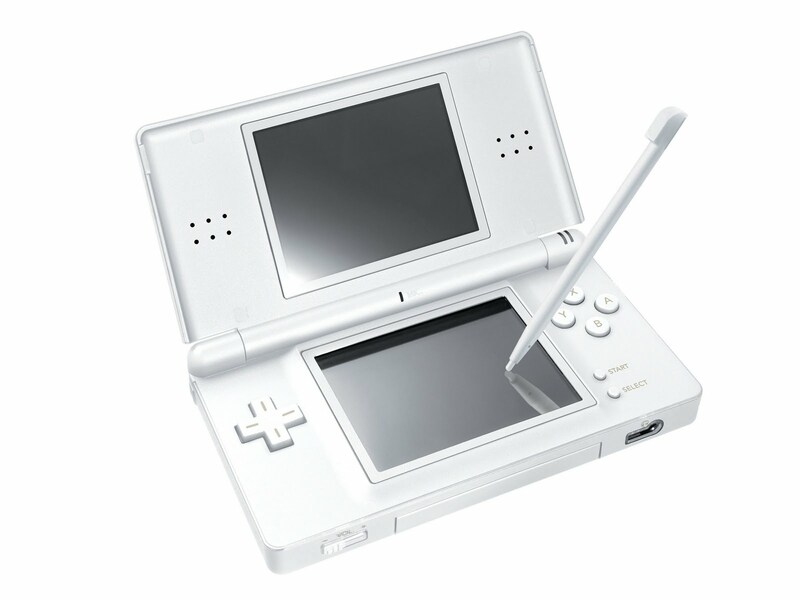 This will likely be Nintendo's last game for the DS, and they appear to be going out with a bang. You might not care for Pokemon, but the two games sold over 2.6 million copies in the two days after the Japanese launch, so maybe you're in the minority on this one. This one's a major release that adds new, increasingly bizarre-looking creatures to the Pocket Monster stable while also giving you a big new world to explore. Nintendo promises that other changes are coming - screenshots depict the first Pokemon game that doesn't look like it could have been pulled off on the original Game Boy - but they're not a company known for messing with an established formula. In that case, this formula is "new Pokemon game + (people - money) X coolness of colors = crazy profits." Write that one down, kids. Got games you're looking forward to? Tell us in the Comments!